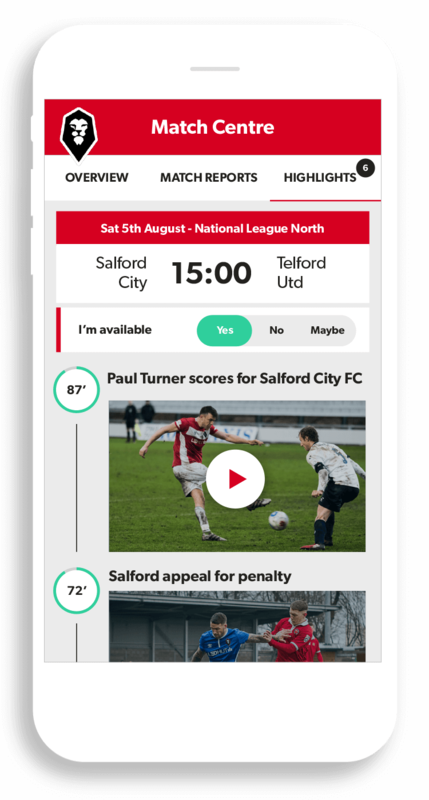 www.pitchero.com is operated by Pitch Hero Limited ("We" "Us" "Our" "Pitchero"). We are registered in England and Wales under company number 06361033 and have Our registered office at Sterling House, Capitol Park East, Tingley, Leeds, West Yorkshire, WF3 1DR. The Service is web-based and allows users that register for an account to use the Service (each an “Account Holder”) to create and update an online profile on the Website. Once registered with the Service, each Account Holder receives his or her own profile on which to post Content (as defined in clause 8.1). Unless explicitly stated otherwise, any new features that augment or enhance the current Service, including the release of new Pitchero tools and resources, shall be subject to these Terms. In order to use the Service, you must arrange for access to the Internet and provide all equipment necessary to make such connection. Our Service may include certain communications from Us, such as service announcements, administrative messages and the Pitchero newsletter, which are considered part of Pitchero membership, although you will be able to opt out of receiving them. You agree not to access the Service by any means other than through the interfaces that are provided by Pitchero for use in accessing the Service. Users under 14 years of age may access the Website but cannot be an Account Holder or create a Pitchero ID. In order to use the Service, you must have a valid Pitchero ID. To be an Account Holder with your own website, you must provide Pitchero with a valid email address and other information ("Registration Data"). As an Account Holder, you will choose a password and account designation for your website during the Service's registration process. You are responsible for maintaining the confidentiality of the password and account, and are fully responsible for all activities that occur under your password or account. You agree to immediately notify Us in writing of any unauthorised use of your password or account or any other breach of security and you must ensure that you exit from your account at the end of each session. We will not be liable for any loss or damage arising from your failure to comply with this clause 3.3. You can pay for a package online by credit card or by setting up a monthly direct debit (preferred method). You can also pay by cheque or electronic bank transfer although these methods will incur a £15 administration charge. If you want to pay by bank transfer our bank details are available upon request. Cheques should be made payable to Pitch Hero Ltd and posted to Pitchero, Sterling House, Capitol Park East, Tingley, Leeds, West Yorkshire WF3 1DR for the attention of Pitchero Support Team. You can cancel a package at any time via your website control panel. 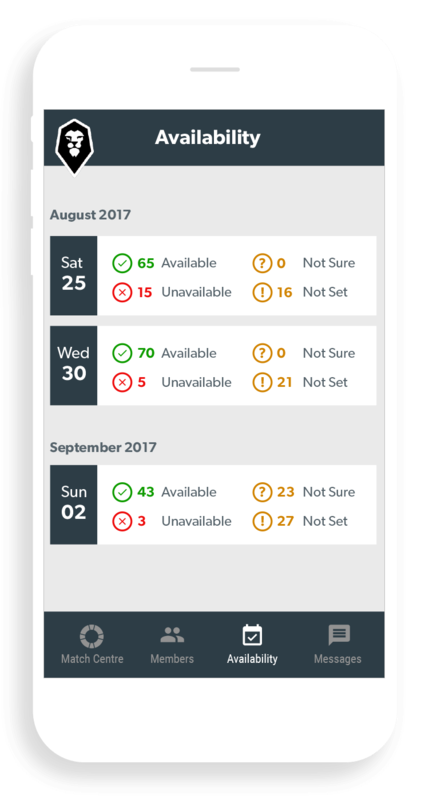 You can also send us a cancellation request via email to support@pitchero.com, or in writing to our postal address. Please include your contact details in case We have an issue with processing your request. If we accidentally take payment after you have given us notice that you no longer wish to pay for a package we will refund you in full. We may also issue you with a refund if any of the package features are not available, but only if the unavailability is due to our act or omission. You may upgrade or downgrade packages at any time by selecting the package you want on the Website. If you upgrade to a higher package, the higher package will be available to you as soon as you have paid the relevant charges. If you downgrade to a lower value package, you will be charged the lower amount when your next scheduled payment is due. For the avoidance of doubt, you will not be issued a refund if you downgrade or cancel part way through a month (if paying monthly) or year (if paying annually). We reserve the right to change the charges at any time by giving you not less than 30 days' notice. If you cancel the Service, your cancellation will take effect immediately. After cancellation, you will no longer have access to your profile and all information contained therein may be deleted. We accept no liability for such deleted information or content. We may, in our sole discretion, terminate your password, and/or account, and remove and discard any Content within the Service (including, but not limited to your website if you are an Account Holder), for any reason, including and without limitation, the lack of use, or if We believe that you have violated or acted inconsistently the Terms. Any contracts, verbal or written, in conjunction with your deleted website, will, at Our discretion, be terminated as well. We may also, in our sole discretion and at any time, discontinue providing the Service, or any part thereof, with or without notice. You are responsible for maintaining the security of your account and profile, and you are fully responsible for all activities that occur under the account and any other actions taken in connection with the website. You agree to notify Us immediately in writing of any unauthorised use of the account or any other breaches of security. We will not be liable for any loss or damage from your failure to comply with this clause 7. Under no circumstances will We be liable, in any way, for any acts or omissions by an Account Holder or a Guest. protect the rights, property, or personal safety of Pitchero, its users and the public. Should Content be found or reported to be in violation with, but not limited to, the following terms, it will be in Pitchero's sole discretion as to what action should be taken. Subject to clause 6.3, We do not claim ownership of the Content you place on your website. By submitting Content to Pitchero for inclusion on your website, you grant Us a world-wide, royalty-free and non-exclusive perpetual licence to reproduce, modify, adapt, distribute, sub-licence and publish the Content. We do not endorse and are not liable for any Content, advertising, products, or other materials on or available from such sites or resources. You further acknowledge and agree that Pitchero shall not be responsible or liable, directly or indirectly, for any damage or loss caused by or in connection with use of or reliance on any such Content, goods or services available on or through any such website or resource. You agree not to reproduce, duplicate, copy, sell, resell or exploit any portion of the Service, use of the Service, or access to the Service without the express written permission by Pitchero. You acknowledge that Pitchero may establish general practices and limits concerning use of the Service and may modify such practices and limits from time to time without notice to you. wasted management or office time, whether caused by tort (including negligence), breach of contract or otherwise, even if foreseeable, provided that this condition shall not prevent claims for loss of or damage to your tangible property or any other claims for direct financial loss that are not excluded by any of the categories set out above. If You have any questions, comments or concerns regarding these Terms please contact us at support@pitchero.com or write to us at Pitch Hero Limited, Sterling House, Capitol Park East, Tingley, Leeds, West Yorkshire, WF3 1DR. Please report any violations of these Terms to support@pitchero.com. This document (together with the documents referred to in it) tells you the terms of service (“Club Terms”) that apply to any club/league/county entity (“Club”) when you set up a new site (“Club Account”) using Our website www.pitchero.com (“Website”), which provides a website creation service and social network platform (“Service”). The Club Terms constitute the terms between Pitchero and the Club. The individual who creates the Club Account on behalf of the Club (“Webmaster” “You”) undertake that You have the necessary authority to enter into the Club Terms on behalf of the Club. Both You and any other person to whom you give administrative access to and/or control of the Club Account (“Officials”) must ensure adherence to the Club Terms on behalf of the Club. To create a Club Account You must have a valid Pitchero ID and be aged 18 or over. As Webmaster You are responsible for the operation and administration of the Club Account. You agree to immediately notify Us in writing of any unauthorised use of the Club Account or any other breach of security and You must ensure that You exit from your the Club Account at the end of each session. We will not be liable for any loss or damage arising from your failure to comply with this clause 2.2. You agree to provide true, accurate, current and complete information about yourself and the Club (“Registration Data”) as prompted by the Club Account registration form, and You must maintain and promptly update the Registration Data to keep it true, accurate, current and complete. If You provide any information that is untrue, inaccurate, not current or incomplete, or We have reasonable grounds to suspect that such information is untrue, inaccurate, not current or incomplete, We have the right to suspend or terminate your individual account and/or the Club Account and refuse any and all current or future use of the Service (or any part thereof). Some of our packages are only available if You/the Club pay for them. The charges for the different packages are shown on the Website and are inclusive of VAT. You/the Club can pay for a package online by credit card or by setting up a monthly direct debit (preferred method). You can also pay by cheque or electronic bank transfer although these methods will incur a £15 administration charge. If You/the Club want to pay by bank transfer our bank details are available upon request. Cheques should be made payable to Pitch Hero Ltd and posted to Pitchero, Sterling House, Capitol Park East, Tingley, Leeds, West Yorkshire, WF3 1DR for the attention of Pitchero Support Team. If We accidentally take payment after you have given us notice that You/the Club no longer wish to pay for a package We will refund you in full. We may also issue you with a refund if any of the package features are not available, but only if the unavailability is due to our act or omission. You may upgrade or downgrade packages at any time by selecting the package you want on the Website. If You upgrade to a higher package, the higher package will be available to You as soon as You/the Club have paid the relevant charges. If you downgrade to a lower value package, You/the Club will be charged the lower amount when your next schedules payment is due. For the avoidance of doubt, You/the Club will not be issued a refund if You/the Club downgrade or cancel part way through a month (if paying monthly) or year (if paying annually). If We are unable to collect payment for any reason or You/the Club fail to pay the charges, We may suspend the features of the relevant package until we receive payment in full and in cleared funds. We reserve the right to change the charges at any time by giving You/the Club not less than 30 days’ notice. Some of our packages include the registration of a domain name. If You already have a domain name, You may transfer it into our system. We also provide electronic mailboxes and forwarding addresses. Please see the pricing page for the limits per package. We will cover the cost of your domain name registration and any mailboxes or forwarding addresses for as long as you continue to pay for your package. If you cancel your subscription or fail to pay for your website package, you may experience interruption to your domain name and associated mailbox service. All domain names and associated mailboxes are processed via a 3rd party registrar and will be administered by Us. You will continue to own the domain. You can transfer the domain name to another registrar/provider. An administration fee of £25 is incurred in order to process the transfer. Please email support@pitchero.com for details of this process. Each transaction carries a transaction fee to us and also to the relevant payment provider. Our standard transaction fee is 2.9%. It is possible reduce this to 1.9% by subscribing to the Elite package or 0.9% by subscribing to the Ultimate package. The transaction fee is inclusive of VAT. Exports from the shop and payments systems will separate the VAT. Clubs outside of the UK should see provider websites for pricing specific to their location: GoCardless (Director debit/SEPA), Stripe (Credit & debit cards). If You cancel the Club Account, the cancellation will take effect immediately. After cancellation the Club Account will be de-activated and will no longer be accessible by the public, by You or the Club Account members unless You expressly require us to do so, We will not close the Club Account and will keep this in existence so We can try find someone who will take over the Club Account. 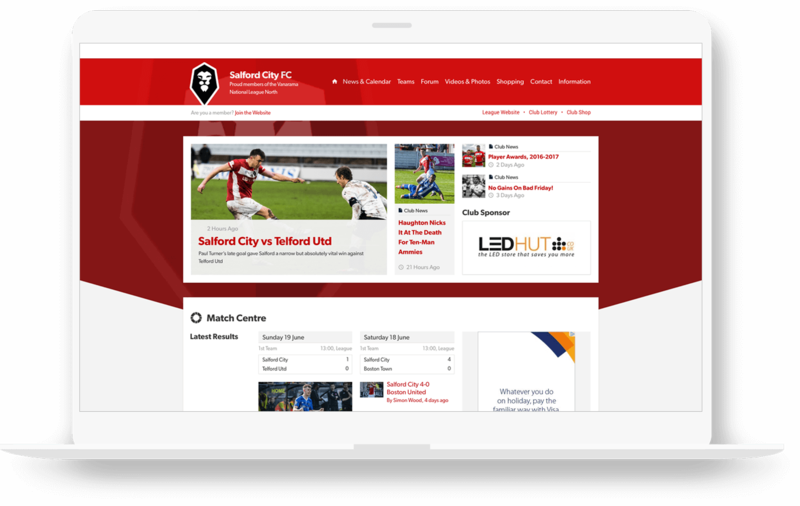 Where You require us to close the Club Account, You will have the opportunity to copy and paste information and content from the Club Account prior to its closure. When a Club Account is closed all information therein may be deleted and We accept no liability for such deleted information or consent. We may, in our sole discretion, terminate and/or suspend the Club Account and remove and discard any content within the Club Account for any reason, including without limitation, if We believe that You have violated or acted inconsistently with the Club Terms. You agree that any termination of your access to the Service under these Club Terms may be effected without prior notice and you acknowledge that We may immediately deactivate or delete the Club Account and all related information and files. We reserve the right to bar any further access to such files or the Service. We will not be liable to You or any third-party for any termination of your access to the Service. For the purpose of this clause 6, “Data Protection Legislation” means the Data Protection Act 1998 as amended, extended, re-enacted or consolidated from time to time, including without limitation, the implementation of the General Data Protection Regulation (EU) 2016/679 and any other relevant laws (having regard to the geographic location of users of the Website) relating to the protection of data throughout the world from time to time. We have provided a GDPR toolkit on our website which will assist You/the Club in your compliance with Data Protection Legislation. This information should be used as a guide only and we strongly recommend that you seek your own legal advice and/or refer to the Information Commissioner’s Office guidance on its website for further information. The Club will indemnify Us against any claims, losses, damage or fines We incur due to Your breach of clauses 6.2 and 6.6. When you upload any videos or photos onto Our Website, You and the Club agree to grant us a licence in accordance with clause 9.2 and We shall be free to use such videos/photos as We see fit. Where this happens, We will become data controller in respect of the videos/photos. Where you upload videos or photos of third parties, you will be asked to confirm you have their consent to do so. The Club and Pitchero shall comply in all respects with the provisions of Data Protection Legislation in our capacity as data controllers in relation to all information made available to each other. You are responsible for maintaining the security of the Club Account and You are fully responsible for all activities that occur under the Club Account. You agree to notify Us immediately in writing of any unauthorised use of the Club Account or any other breaches of security. If and when You decide to add an Official to the Club Account, You must ensure that such person is over the age of 18. The Official will have administrative access to the Club Account you must ensure that the person is a responsible adult as they will have access to personal data and/or sensitive personal data. We strongly advise You carry out any necessary backgrounds check before appointing an Official, especially if the Club Account has members who are under the age of 18. We will not be liable for any loss or damage from Your failure to comply with this clause 7. Under no circumstances will We be liable, in any way, for any acts or omissions by an Official or a Member. All information, data, text, software, music, sound, photographs, graphics, video, messages, goods, products, services or other materials ("Content") are the sole responsibility of the person from which such Content originated. As Web Master You have a responsibility to moderate any such Content on the Club Account and remove it where you think it is inappropriate. We do not control the Content posted via the Service and, as such, do not guarantee the accuracy, integrity or quality of such Content. Notwithstanding Your duty to moderate the Club Account, should Content be found or reported to be in violation of these Club Terms or the Terms, it will be in Pitchero's sole discretion as to what action should be taken. We are the owner or the licensee of all intellectual property rights in the Service, Website, and in the material We publish on it and any necessary software used in connection with the Service ("Software”). These works are protected by copyright laws and treaties around the world. All such rights are reserved. Except as expressly authorised by Us or advertisers, You agree not to modify, rent, lease, loan, sell, distribute or create derivative works based on the Service or the Software, in whole or in part. Subject to clause 6.5, We do not claim ownership of the Content You or your members place on the Club Account. 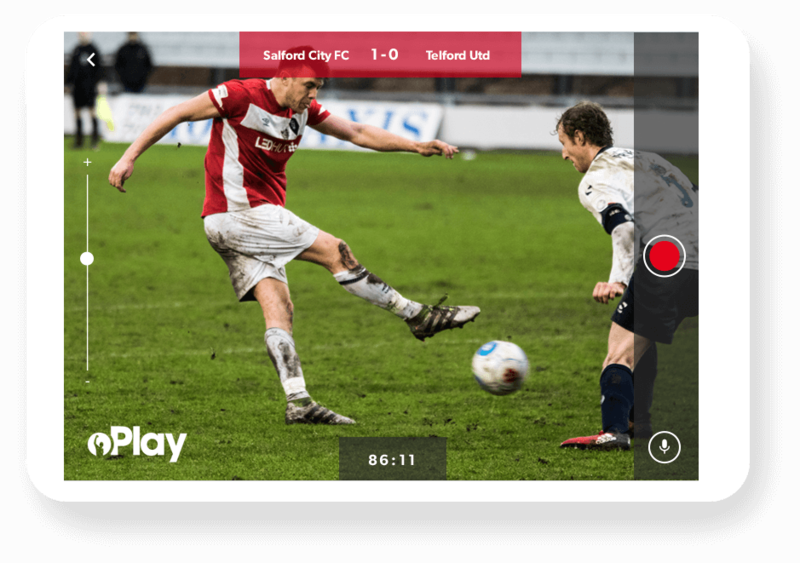 By submitting Content to Pitchero for inclusion on the Club Account, you grant Us a world-wide, royalty-free and non-exclusive perpetual licence to reproduce, modify, adapt, distribute, sub-licence and publish the Content. You and any Official will not upload any Content unless you have the right to grant a Licence in accordance with this clause. The Club shall agree to indemnify Us, and Our subsidiaries, affiliates, officers, directors, agents, co-branders or other partners, from any claim or demand, including reasonable legal fees, made by any third party due to or arising out of any Content, Your use of the Service, Your members’ activities, Your connection to the Service, your violation of these Club Terms. You are solely responsible for Your actions when using the Service, including, but not limited to, costs incurred for Internet access. You expressly understand and agree that where You use the Service, this is at your/the Club's sole risk. The Service is provided on an "as is" and "as available" basis. We expressly disclaim all warranties of any kind, whether express or implied, including, but not limited to the implied warranties of merchantability, fitness for a particular purpose and non-infringement. We will make reasonable efforts to maintain the Service, however, We are not responsible for any damage, loss of data, customer information or vendor data, revenue, or other harm to business arising out of delays, mis-delivery or non-delivery of information, restriction or loss of access, bugs or other errors, unauthorised use due to You sharing access to the Service, or other interaction with the Service. You are responsible for maintaining and backing-up your data and information that may reside on the Service. Any material downloaded or otherwise obtained through the use of the Service is done at your own discretion and risk and that You and any Official will be solely responsible for any damage to your computer system or loss of data that results from the download of any such material. Failure by Us to exercise or enforce any right or provision of these Club Terms shall not constitute a waiver of such right or provision. These Club Terms constitute the entire agreement between you and Us in relation to the operation of any Club Account and supersede any prior agreements. These Club Terms and any dispute or claim arising out of or in connection with them or their subject matter or formation (including non-contractual disputes or claims) shall be governed by and construed in accordance with the law of England and Wales. If You have any questions, comments or concerns regarding these Club Terms please contact us at support@pitchero.com or write to us at Pitch Hero Limited, Sterling House, Capitol Park East, Tingley, Leeds, West Yorkshire, WF3 1DR. Please report any violations of these Club Terms to support@pitchero.com.